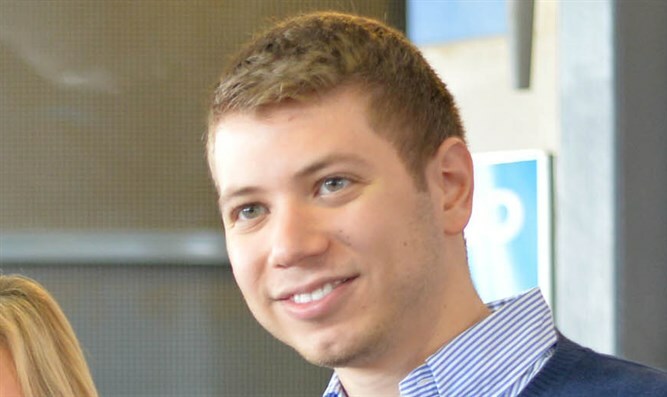 Yair Netanyahu files lawsuit against Molad organization demanding NIS140,000 compensation; Molad welcomes lawsuit. Yair Netanyahu, the son of the Prime Minister, filed a counterclaim against Leftist Molad organization demanding compensation of NIS 140,000 following alleged slander that the organization wrote in a Facebook post. In response to the suit, Molad reacted, "Unfortunately, not only did Yair Netanyahu or anyone on his behalf fail to correct their mistake, Yair Netanyahu chose to act with force and to try to intimidate us with a demand to silence us," they said. "We wish to inform them that not only are we not frightened, we welcome the lawsuit, because it gives us a rare opportunity to discover, in the process of disclosing the documents, what Yair Netanyahu is doing in the Prime Minister's Office, how much Israeli citizens pay for the security of Yair Netanyahu as he travels around the world, what is the nature of his real connections with Mr. James Packer - who also serves as a central figure in the corruption affair of the Prime Minister - and more. In addition, we read in the lawsuit that the representatives of Yair Netanyahu note that we harmed his profession. Maybe now we'll finally find out what it is." To read lawsuit in Hebrew click here. Yair Netanyahu claims through his attorney Yossi Cohen that on August 30, 1997 "the defendant published a false post against the Plaintiff" under the heading "Five things you didn't know about Crown Prince Yair Netanyahu." It also claimed that "the publication was accompanied by a disgraceful and slanderous portrayal of the plaintiff in clown clothes with a crown on his head over the caption: "5 facts about Yair Netanyahu, the child of us all". The lawsuit states that "this is a post for which the plaintiff is entitled to monetary compensation without proof of damage, by force of the Defamation Law." "The above post is a sponsored post, which means that Molad paid a large sum of money to Facebook in order to maximize the exposure of the post and to increase the damage to the plaintiff," the statement said.